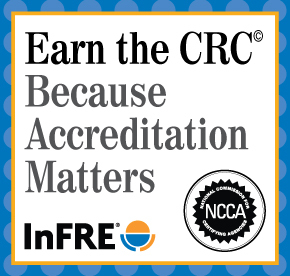 Editor’s note: This article is an adaptation of the live webinar delivered by Heather L. Schriber, RICP®, in 2018. Her comments have been edited for clarity and length. 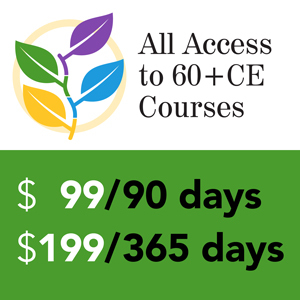 You may also choose to take the full length course Social Security: Uncovering Opportunities to Bring Value to Your Clients and Prospects for 1.0 hour continuing education (CE) credit. Who collects Social Security today? Eighty-four percent of non-married retirees and 85 percent of married retirees collect Social Security benefits. Fifty-five percent of Social Security beneficiaries in 2016 were women. Let’s look at the relative importance of Social Security in the broader scope of how American retirees make up their retirement income. Fifty percent of married retirees rely on it for more than 50 percent of their income. Seventy-one percent of non-married recipients rely on it for more than 50 percent of their income. Thirty-four percent of non-married retirees depend on it for more than 90 percent of their income. For married couples, 23 percent rely on it for 90 percent or more of their income. Why do I point this out? Social Security needs to be a decision. It’s kind of like if someone is lucky enough to have access to a pension from his or her job and they close their eyes and pick an option. It’s critical to carefully consider the pros and cons of the various types of benefits that you would select under a pension, whether it’s 100 percent to the recipient, nothing to the survivor, 50 percent survivor benefit, and so forth. Social Security is important because it is such a critical component of retirement income. What should drive the Social Security claiming decision for your clients and prospects? Retirement benefits are, for most of us, a critical player in what is also able to supplement Social Security income. Some people continue to work, though not as many that probably would like to for a variety of reasons, and that impacts their Social Security decision. Longevity and health assumptions play into when you should file. How many of your clients and prospects talk about the fear of the sustainability of the program? Retirement dates: I’m going to retire therefore I immediately file for benefits. How about next-door neighbor Nancy? There are no two decisions that are exactly alike; this is a very individualized decision. Some say they’d rather take Social Security now then tap into my retirement savings. We’ve all worked hard to get the retirement savings that we’ve saved, and so it’s hard for us to let go of it to supplement our retirement income. Also, didn’t Congress take away the strategies that could have increased my benefits? I might as well take it at 62. All of these things go into the thought process. The goal is to reframe a mostly emotionally-charged decision into a more informed one. To base the decision upon the wants and needs of the client means asking many questions, considering the entire scope of retirement income, creating awareness of potential opportunities and pitfalls in claiming, and consideration of the whole family unit. What is the Social Security Breakeven Point and how should it be evaluated? A 65-year-old man today is expected to live on average to age 84, while a 65-year-old woman is expected to live on average to age 87. What are the practical implications of looking at Social Security from just that perspective? It only considers a single life expectancy and doesn’t factor into the accumulative lifetime of a married couple, in other words, the last spouse to die. Survivor income can be compromised, and particularly it’s impactful when you have a disparity of income benefits. When I work with financial professionals, the first thing I want to know is if there is a disparity in income benefits with a couple. If one has earned a lot, and therefore has a retirement benefit to show for that, and one who has less of a retirement benefit, whether because of lower earnings or because of time out of the workforce, and we want to look at harvesting or leveraging the higher of the two benefits. To do that, we have to look beyond a single life expectancy. When someone reaches their full retirement age he or she can collect 100 percent of his or her primary insurance amount. Primary insurance amount is a three-tiered formula that is based upon the highest 35 years of earnings. The earliest one can file for a retirement benefit is age 62. For every month before your full retirement age that you file there’s a monthly reduction. Someone who is 62 will collect not 100 percent of the primary insurance amount, but 75 percent because they will collect for a longer period. Likewise, by waiting beyond full retirement age, every month up to the month of age 70 they earn delayed retirement credits, which is two-thirds of one percent per month or eight percent per year. For someone who’s got a full retirement age of 66, they collect 132 percent of their benefit if they wait until age 70. This is an important decision. It shouldn’t be based on just when you retire, but include expected longevity, health issues, whether they’re married, or disparity of income benefits. What is the Earned Income Limit and how does it affect Social Security Benefits? Anytime you’re working with a client or prospect who is considering taking their benefits prior to obtaining their full retirement age and continuing to work, they have to be aware of the Earned Income Limit. Let’s say have a client between age 62 and full retirement age. Their benefit is reduced by $1 for every $2 over the annual earned income limit of $17,040 (2018). The limit changes every year. In the year up to the month of full retirement age, there is a higher limit of $45,360 (2018). Social Security benefits are reduced by $1 for every $3 over the earned income limit. Once they reach the month of full retirement age, this limit goes away. If someone is affected by this earned income limit and some of his or her benefits are withheld because of it, he or she will get it back. Social Security keeps tabs on how much they’ve withheld from their benefits and will recalibrate their benefits a little bit each year at full retirement age to account for the amounts lost. It will take up to 15 years to completely recoup lost benefits. The earned income limit pertains only to the person collecting the benefit. If a wife retires and collects her benefit at age 62, and her husband is making $100,000, it does not affect the wife’s benefit. Let’s look at an example. Jackie is age 62. She has a full retirement age monthly benefit at age 66 of $2,350 or an annual benefit of $28,200. She wants to file for benefits at age 62, so her benefit will be permanently reduced by 25 percent to $21,150. She also earned $40,000 this year. Since the earned income limit for this year is $17,040, she has excess income of $22,950. Excess income pulls back $1 for every $2 over the limit, or 50 percent. Therefore, her Social Security monthly benefits will be reduced by $11,480, leaving her only $9,670 of the $21,150 reduced benefit. When someone files for benefits either online or in person, the Social Security Administration should be asking them if they’re earning anything and taking care of this on the front end by adjusting their benefit downward if they’re affected by it. Sometimes they don’t – they miss it – so it’s going to be a year before the Social Security administration catches up with them. Then the individual gets a letter that states they earned X amount of income that was this much over the earned income limit. Please remit a check – a lump sum – in the amount that we overpaid you. It’s best to be upfront with the Social Security Administration so they can adjust the benefit on the front end. Once the individual reaches full retirement age, their monthly benefit will increase. How might Social Security Benefits be taxed? As much as 85 percent of one’s benefit may be subject to taxes if “provisional income” exceeds certain thresholds. One-half of the annual Social Security benefits received for the household. 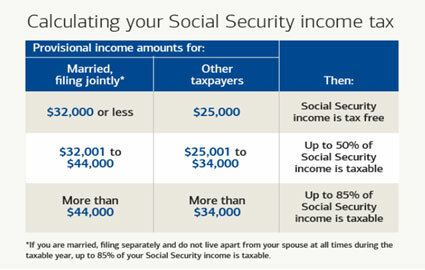 If we’re talking about a couple and both collect Social Security benefits, they calculate the total and divide by two. That 50 percent gets included in this combined income calculation. Source: Social Security Administration: Income Taxes and Your Benefit, 2018. Once we have that figure, we compare it to their tax filing status (married filing jointly or other). If someone is married, and provisional income is $32,000 or less, then there are no taxes on the Social Security benefit itself. If they are married and provisional income lands between $32,001 and $44,000, then as much as 50 percent of those benefits are subject to tax. The excess over $44,000 in provisional income is taxed at 85 percent. It’s not a heck of a lot of income before taxes can be a potential issue. The thresholds are not inflation-adjusted, so they have been the same for many years and affect more people every year. A single taxpayer or a married filing separately with under $25,000 in provisional income is tax-free. Between $25,001 up to $34,000 in income is 50 percent is taxable, and 85% of the excess over $34,000 is taxable. What is the effect of RMDs on taxation of Social Security? Having a holistic conversation with your clients is essential. The reason they’re in front of you is that they have other assets saved for retirement or earmarked for retirement. If 85 percent of a client’s money is in their 401(k) plan, IRA, or other deferred savings accounts, we know that when age 70½ rolls around, they’ll be dealing with required minimum distributions (RMDs). RMDs affect the taxation of Social Security. It doesn’t take a whole lot of combined or provisional income for it to be an issue. What can we do? Roth conversions are a great way to diversify taxable income so that when we get to the point at which RMDs are required, it’s less of a hit from a tax perspective and less likely to affect Social Security benefits. Tax-free income is also available from life insurance, in addition to the death benefit, as is another way to diversify income. All contributions and earnings that accumulate inside a traditional IRA are eligible for Qualified Charitable Distributions. For someone who has an IRA and they are at the age at which they’re subject to RMDs, they can directly transfer to a qualifying charity up to $100,000 a year. They not only satisfy their RMD, but the amount is excluded from adjusted gross income (AGI). That’s a beautiful tool. If you’re unfamiliar with it, go to the IRS website, irs.gov, and put in the search, QCD or qualified charitable distribution. The other thing we have to be worried about when we get to RMD age, or at any age when we’re taking distributions, is higher premiums for Medicare Parts A and B. Many people don’t want to take withdrawals from tax-deferred savings until they are forced to do so. Sometimes it works better to delay filing for Social Security, holding out for that higher income benefit later. Bridging income until then means supplementing income with withdrawals from tax-deferred accounts and paying taxes on it now before collecting Social Security. By reducing my qualified plan balances some now, I can have a higher lifetime income benefit from Social Security later at which point I will need to take less from my qualified plan to supplement income. That’s an option to consider. Ask questions. Asking them questions to uncover information that could be important is important. What kinds of questions do you ask? What are your expected Social Security and pension benefit amounts? When do you plan to stop working? What other sources of income do you have, and sources? When they were born and can they take advantage of restricted application and ancillary benefits? Were you married before? For singles, you don’t want to assume they’ve always been single. For how long were you married? Were you married more than once? For how long? You might uncover an opportunity to collect an ex-spousal benefit perhaps. If someone has been married multiple times at ten or more years and he or she is currently unmarried, you can cherry-pick which ex-spouse has the higher benefit. Were they married before and are now remarried? How long were you married? More than ten years? When did you remarry? Were they ever widowed? There is an opportunity for survivor benefits. There are all kinds of other ways to uncover benefits that people aren’t aware of, such as caregiver benefits, dependent benefits. We see a lot more second, third marriages where there are young children in the home, so there might be an opportunity for a dependent in the household to collect benefits. Asking lots of questions never hurts. Be mindful of the disparity of income benefits when working with couples. Barring no other circumstances like they need the money, or they’re expected to die tomorrow, explore taking the smaller of the two benefits first and hold out on the higher benefit earner until later. This action allows them to satisfy that desire to want to receive Social Security now because they’re now retired, and it also allows them to hold out for the higher benefit, delaying as much as they can to sustain not only both during retirement but also the survivor. Are there younger children in the home? Are they under age 18 or they can be as old as 19 and still in high school? There’s a benefit that could be had there. Even from a former spouse, that’s spousal benefits. If there’s more than one marriage, ask about it. How long did it last? If you are not yet 62 but you have children in the home, then a caregiver can also collect a benefit if they are under age 6. The earned income limit affects all kinds of benefits, even survivor benefits. If someone is going to collect a survivor benefit before his or her full retirement age and yet he or she are still working, there’s a chance that it’s going to be reduced or eliminated depending on his or her earnings. Identify the potential effects of the earned income limit and taxes on the benefit. Don’t forget the restricted application strategy for those born before January 2nd, 1954. There’s an opportunity there to collect some decent income while someone’s holding out to receive his or her maximum benefit at age 70. Above all, empower your clients and prospects to make an informed decision. That’s what this is all about. Knowledge is power to me, and you’re going to get more loyal clients that will give more referrals. Have those conversations, those meaningful conversations, about Social Security. 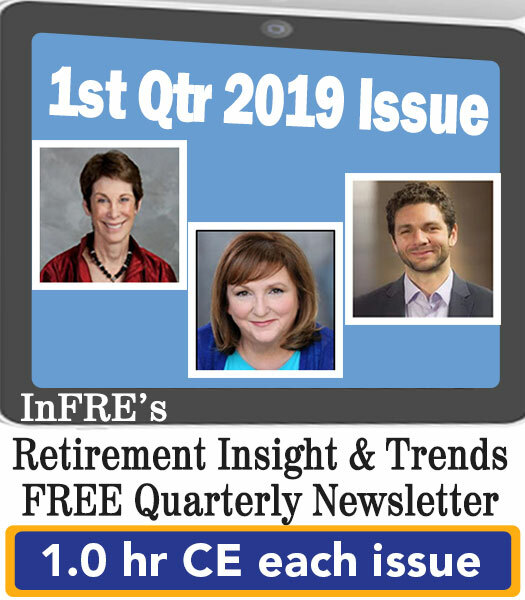 Heather Schreiber, RICP®, is Founder and President of HLS Retirement Consulting, LLC, Heather partners with financial, legal, and tax professionals to build holistic client solutions for retirement. Heather prides herself in her ability to customize potential solutions to meet the needs of each client or prospect as well as her ability to turn complex strategies into easy to understand terms. In her 20th year in the industry, Heather has worked within the finest organizations including Franklin Templeton Group of Funds, AXA Advisors, SunTrust Bank and one of the largest FMOs in the country. She is frequently asked to speak at industry events, radio programs, recruiting webinars and created and led a series of bi-annual 2 ½ day intensive training events for elite advisors on effectively weaving Social Security planning into their sales process. ©2018, Heather Schreiber. All rights reserved. Used with permission.